← WELCOME TO THE NFL ROOK! Let me preface my remarks today by saying that I lean center-left on most issues. I can be hardline right wing on some and far to the left on others. I try to base my opinions on facts and not emotional BS or the misinformation that is foisted on the public by people and organizations with rather obvious agendas. I generally research both the various papers, the internet’s massive wealth of info, News Radio stations, cable news via CNN, FOX NEWS, BBC AMERICA, AL JEZEERA and MSNBC on issues that interest me. Let me say right upfront that I believe the shutdown of the government to advance questionable and quite debatable doctrine is WRONG. Most of the everyday people I spoke to today at the gas station…at the Post Office…at the 7-11 agreed with that statement. I was driving in my car this afternoon when Rep. Peter King, the well known and respected right wing republican from Long Island was being interviewed on WCBS News Radio. He was asked his opinions on the government shutdown being orchestrated by the radical right wing of the Republican party. To paraphrase what I heard from Rep. King, Ted Cruz and the rest of his people need to Keep Quiet. 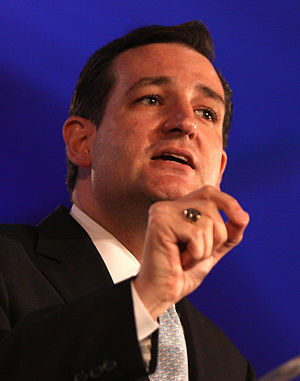 Republicans need to stop letting Ted Cruz and the Tea Party people set the agenda for the entire party. He went on to say that there are approximately 40 people in the House that are holding 435 “hostage”. He believes there are at least 35 Republican congressmen who disagree with the Ted Cruz/Tea Party faction on this critical issue. To return the government to full operations 20 of them need to vote to end the stalemate. Rep. King said he was speaking to influential Republicans in the House and Senate and he said he believes they will have enough votes to break from the extremists to end this fruitless exercise. 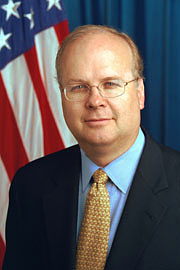 Karl Rove, the architect of much of the Republican political strategies over the past 15 years commented on the shutdown of the government. “Any strategy to repeal or replace the law must have a credible chance of succeeding or affecting broad public opinion. the defunding strategy doesn’t. Going down that road would strengthen the president while alienating independents. It is an ill conceived tactic and Republicans should reject it”. For Rove to come out this strongly against the Tea Party and their misguided agenda is quite eye opening. It’s becoming increasingly obvious to all political observers that the Republican party is in no way shape or form in lockstep with the fanatics who are attempting to shutdown the government for their own purposes. Once again the House has voted 230-189 to defund OBAMACARE. They have approached this legislative crusade with an almost comical vengeance spreading misinformation and wasting millions of dollars of taxpayer money FOR NO GOOD REASON other than the obvious political goals. Shutting down the healthcare law doesn’t affect the rich and privileged. It continues to hurt those people the Republicans are trying to reach…the young…the sick and elderly…women and children. If they expect to ever win a national election in the near future, how can they be so blind to what’s happening in the real world? Yes the Democrats have done their bit to shut the government down, but they at the very least have been attempting to find reasonable compromise with these fanatics for many months. Democrats in the House and Senatehave been faced with the “my way or the highway” attitude of the extremists. When two people are engaged in a negotiation and one of them says NO WAY to any change of position, there can be no resolution of anything. 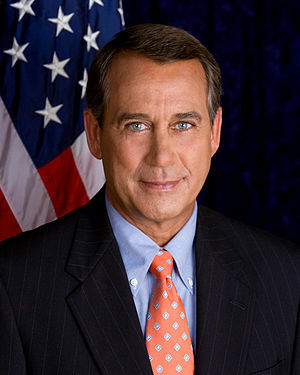 House speaker Boehner finds himself in an unenviable position. On the one hand he is trying to reach reasonable compromise with the President and the Democrats that might actually pass the Senate. But he is also being pushed around by Tea Party fanatics who will do whatever they can to remove him should he not do their bidding. This hijacking of the government process is expensive, fruitless and an immense waste of time. Instead of addressing the real issues facing 21st century America they insist on trying to push their unrealistic and unfair agenda on everyone. Did anyone tell them who won the election? Did anyone explain to them that the vast majority of people believe that the POTUS has a reasonable plan to compromise and get things moving in the right direction? I guess we’ll see at election time just how many voters remember this insane behaviour by elected officials. This never ending attack on the President’s Healthcare Legislation needs to end immediately. It’s one of the most idiotic government exercises in recent memory. Does the law need to be tweaked? Perhaps. So much legislation evolves over periods of time. But this full frontal assault by fanatics who will try ANYTHING, including wrecking the country’s credit ratings, putting people out of work and endangering our safety MUST END. This entry was posted in Politics and tagged Democrats, Fox News Channel, John Boehner, Karl Rove, Rep. Peter King, Republican, Senate, Tea Party, Ted Cruz. Bookmark the permalink. 9 Responses to FANATICS SHUT DOWN THE GOVERNMENT…FOR WHAT!?!?! I’m glad you addressed this controversial topic in your blog, Joe. I would add a couple of things to the information above: John Boehner has always been a weak speaker, and barely was re-elected Speaker earlier this year. All his party extremists have to do is threaten to “primary” him (meaning, finding a Republican to run against him in the primary, and usually someone even more extreme), and he will capitulate. As he has, on so many issues. But he is at fault for something more egregious here: He refuses to allow the spending bill — the one that would keep the gov’t functioning at current levels — to even go to the House floor for a vote, EVEN THOUGH IT WOULD PASS. There’s enough Republicans in the House to vote for it, along with the Democrats, in order for it to pass and keep gov’t open. Rather than take the road that says, “Hey, I’ll vote against it so I’m not primaried, but I’ll at least let the others do my dirty work for me,” he instead has deliberately subterfuged the federal government and more than 310million Americans by blocking a vote at all. Beyond awful. One other thing that bothers me: Republican Congressional districts across the country have been so badly gerrymandered that Republicans are winning more seats than they are receiving votes for. Democrats received 1.4million votes MORE than Republicans in the last Congressional election, yet Republicans won far more seats. How does that result in representative democracy? That is a total perversion of our Constitution and form of government. Sorry, but the Republican Party has become an Evil Empire. And I don’t want to hear anybody say, “Well, everybody does it”, because 1) everybody DOESN’T do it, certainly not to this extreme, and 2) whether everybody or just some do it, IT’S STILL WRONG. When do we demand it all stop? We have a lot to work on to bring this country back to its ideals and goals. I hope this debacle gets enough Americans angry enough to get off their lazy asses and to the polls — because there is NO excuse to not vote. We have very poor voter turnout as compared to other countries, and that has been a contributing factor to the mess our gov’t currently is in. its the last gasp of a group of angry white men who want to return to an era long gone. They can’t accept that the world has changed. Time to either get out of the way or lend a hand in fixing what needs fixing. Don’t know why but stopped at Fox News tonight and saw a few minutes of Hannity. He was going after Peter King for being weak in the knees and caving into Obama. The headline on the screen was The Obama Shutdown. The rhetoric was such that he believes we should bring the country to its knees over the health plan..because thats what Americans want. Excuse me but isn’t the issue the budget ! The health plan is law already. These people are delusional. They think they know better than the people who elected them. Look at the gun control situation. Over 70% of the people polled are in favor of much stricter gun control laws. Look how the House voted when that legislation came up. It’s become an absurd situation than can only be remedied at the ballot box. Both of you are right. Bill, I’m not surprised that Fox/Faux/False News is handling the issue from a purely propaganda standpoint — like they do everything else. And with their dumbing down of the Americans who watch them, it should come as no surprise that the GOP gets as many votes as it does, even if it’s far less than the Dems. Joe, I think the GOPers in Congress are acting this way solely to please their corporate masters. When they subterfuge, the Koch Bros. pay. I have said this for many years, unless and until we get ALL private money out of politics, we will never have a clean system. As a former elected official, I really saw this firsthand, and as a now-observer, I see it quite clearly. Shame on us, that we are so paralyzed we can’t get out of our own way. And we’re supposed to be the best gov’t in the world??? apparently there has been no room for compromise for several years. This is a scary and dangerous development. Ronald Reagan and Tip O’Neill were able to work things out for the betterment of the country. The fools in the House have this notion that they are so right, pardon the pun, that there is no room to negotiate or compromise on their principals. Nonsense. There is always a reasonable middle ground to every situation. You just need to want to find it. Michelle Bachman is an imbecile. I really have nothing else to say about that.